I love the colors! Can’t wait to see the finished product too. 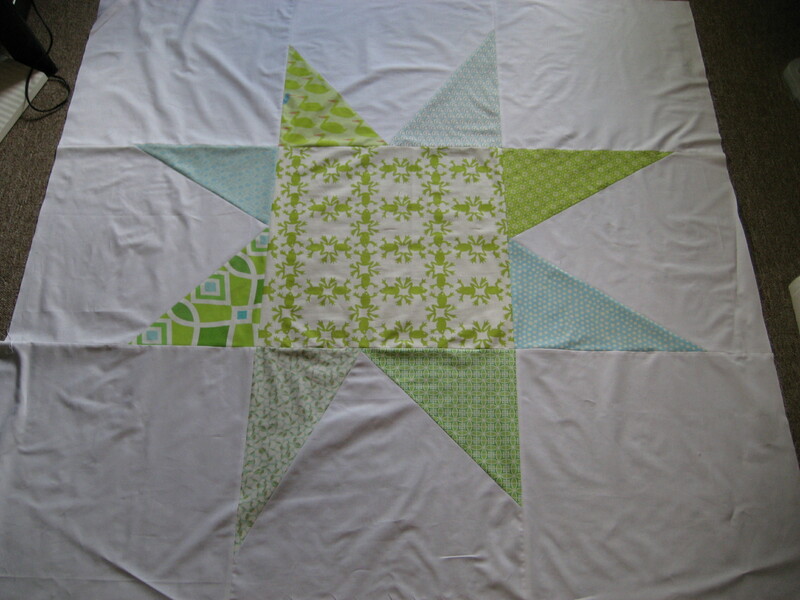 Personally, I do all of my baby quilts with flannel as the backing. Typically a solid piece or something with as few seams as possible. Especially for a fall/winter baby. It’s obviously a little hard to hand quilt (if you hand quilt) but I love the extra softness of it for itty bitty babies. I love the colours! 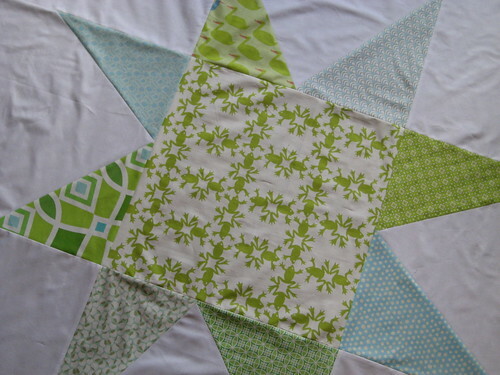 I used some of the froggy and the green ducks for my Bug’s quilt. And I am unsure how to save or become a fan (if you can) of your page..